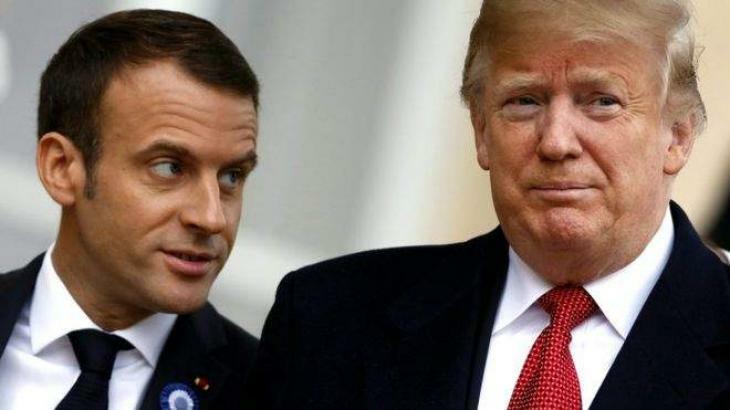 WASHINGTON (UrduPoint News / Sputnik - 16th April, 2019) US President Donald Trump has offered French President Emmanuel Macron assistance in the restoration of the iconic Notre Dame cathedral following the devastating fire, the White House announced on Tuesday after a phone conversation between the two leaders. "This morning, President Donald J. Trump, on behalf of the American people, offered his condolences to President Emmanuel Macron of France for the devastation caused by the fire at the Cathedral of Notre Dame de Paris," the statement said. "We stand with France today and offer our assistance in the rehabilitation of this irreplaceable symbol of Western civilization."